6.5 Inch Rechargeable Battery Powered Bluetooth System | BUDK.com - Knives & Swords At The Lowest Prices! 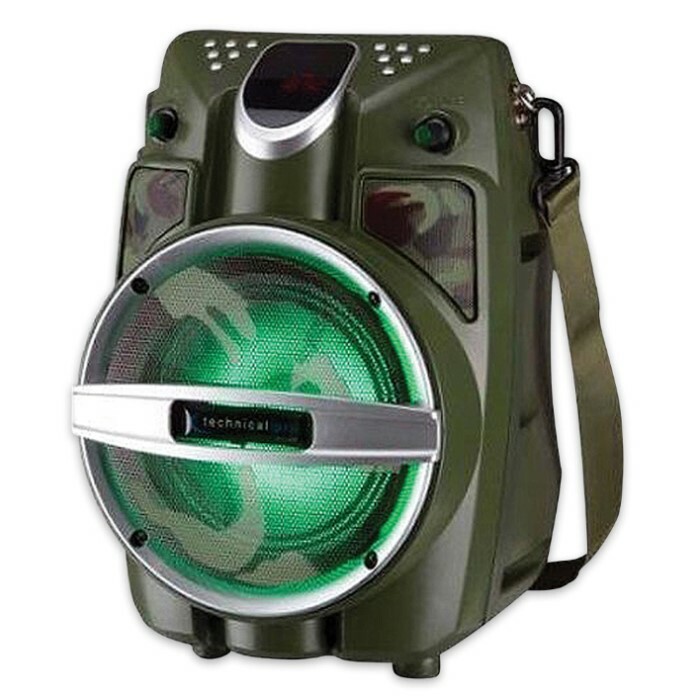 This 6 1/2” speaker is fully wireless and has a built-in rechargeable battery. It takes about 6 hour to fully charge the battery and you can plug it in to the power outlet in your car. 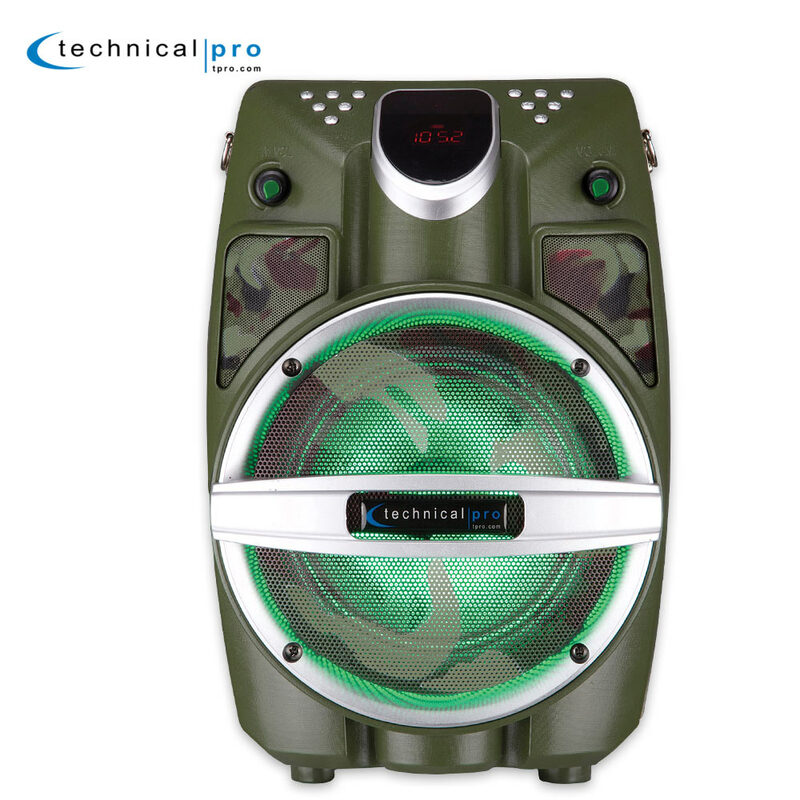 You don't need to carry an amplifier or tuner to use this speaker because it has all the controls you need for sound and playback integrated into it. There is even an FM radio built into the speaker, including a telescoping aerial clipped snuggly in place on the back of the unit. 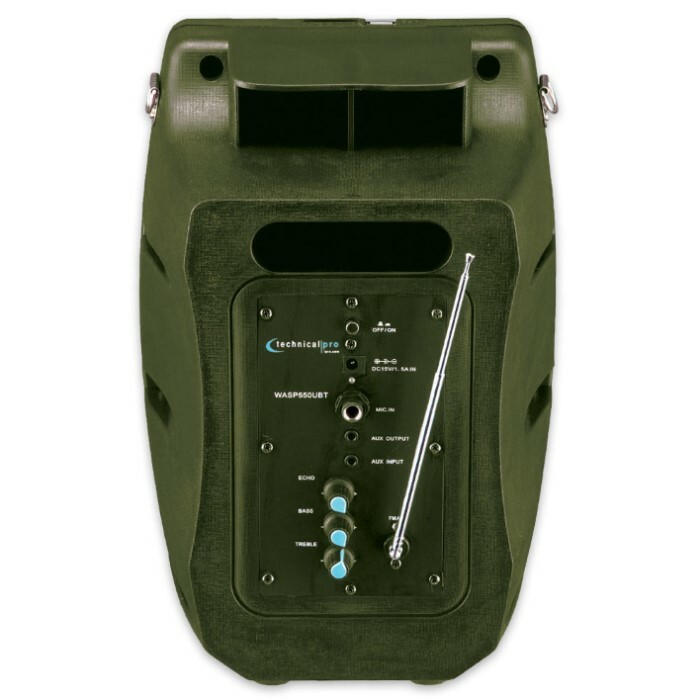 You get a wireless microphone included with this speaker and that works from a distance of 75 feet. There is also a remote control unit to manage sound output and music playback without having to touch the onboard controls. As well as the FM radio, the speaker can take inputs from an AUX socket, a USB port and an SD card slot. It also has Bluetooth capability so you can connect your smart phone to it without the need for a cable. It has an attractive shape and its case features a molded carry handle and a shoulder strap.